Sringeri is famous for the Sharadamba temple and the Sringeri Mutt. Horanadu has the Annapoorneshwari temple. Both are places of religious importance for certain sections of people. So these are well suited to go with family or with friends who are religious. Since I have visited many places nearby but not blogged about it, I will try to give some suggestions for places you could also cover. Let me start with my itinerary. 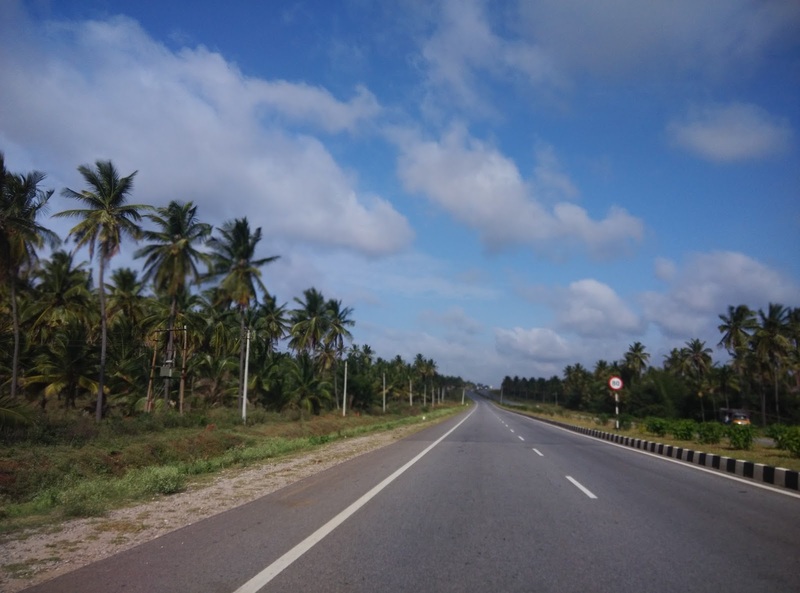 We left Bangalore at 6:30am and took the Bangalore-Hassan-Belur-Chikmagalur route and reached Sringeri by 1pm. 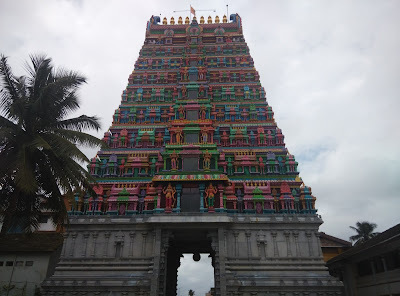 The majestic gopura (temple entrance) is newly constructed and gives you the typical south Indian temple feel. Inside there are 2 major temples. 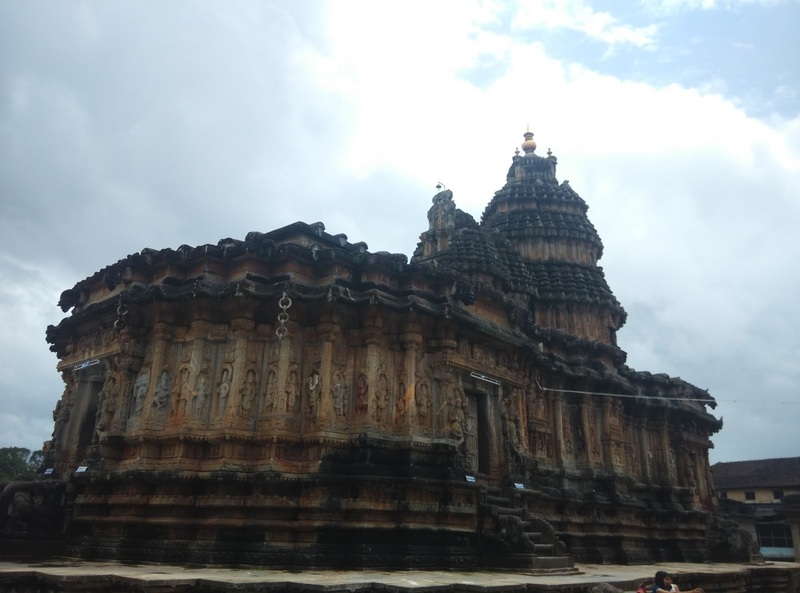 One is the main Sharadamba temple and other is the old Shiva temple that has the Hoysala architecture. The temple remains open till 2pm and free lunch is served until 2:30pm. This is the prasadam and you should not miss this. 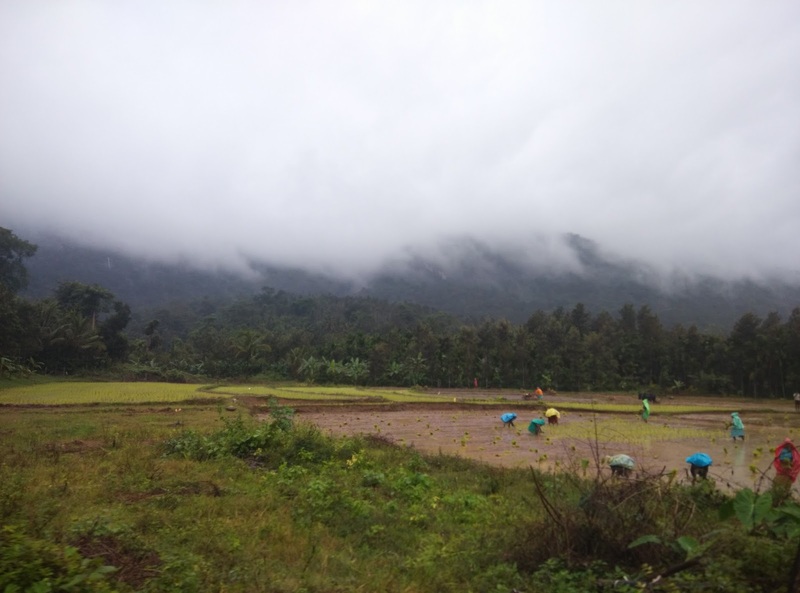 It is 3 servings of rice with rasam, sambhar and butter milk. 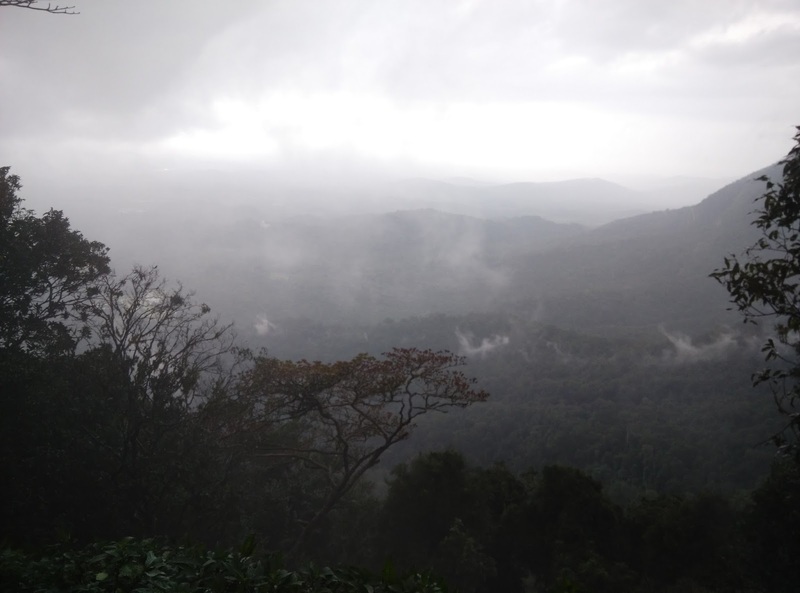 At around 4pm we left to Agumbe sunset point which is about 30kms from Sringeri. Agumbe ghats is the gateway to reach Udupi. 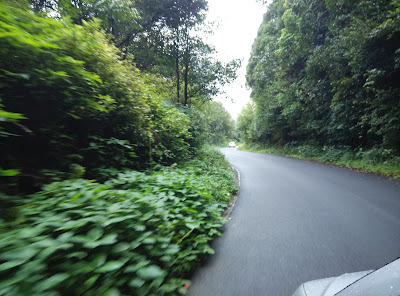 It has 13 steep hairpin curves that end in Someshwar which is around 50kms from Udupi.We didnt go all the way down but just visited the Agumbe viewpoint. 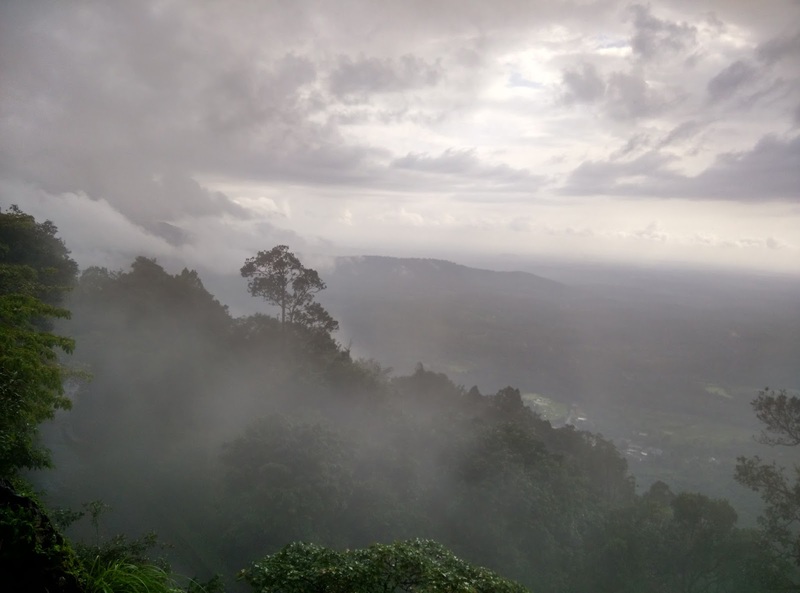 The below pictures would do justice to Agumbe as compared to my words. 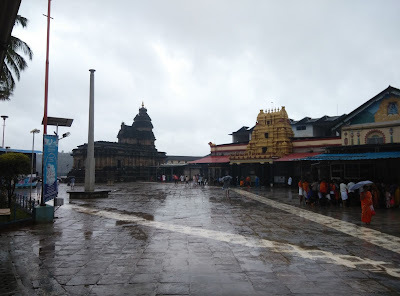 We returned to Sringeri by 6pm. There was Sirimane Waterfalls on the way but the roads to reach it were so bad that we returned half way. In the evening the temple opens at 4pm and is open until 8:30pm. You can cross the bridge near the temple to visit the Sringeri Mutt which is one of the famous and most followed mutts among people in Karnataka. 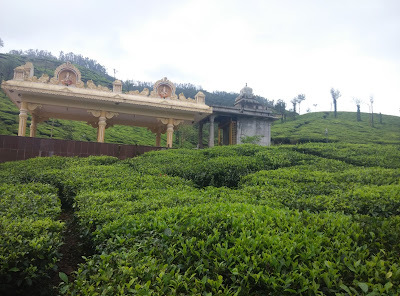 Here you can find the brindavan of the past swamijis. In the evening if you are lucky you will get to listen to the swamiji. Dinner starts at 7pm and goes until 8:30pm. The rooms here are managed by the Mutt and are available at 300rps per night. Rooms are limited so during festive seasons the rooms may not be available. 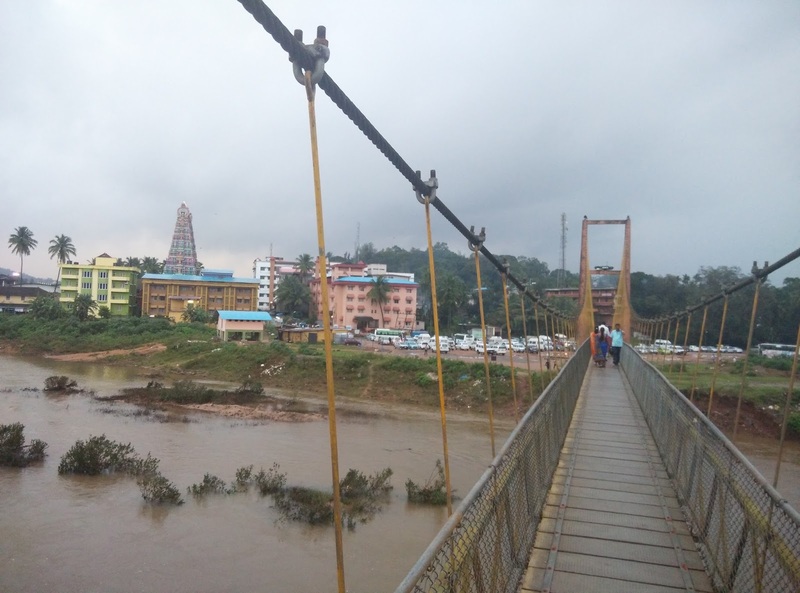 While you are in Sringeri you can buy the masala banana chips that is famous here. Next morning we had breakfast and head out to Horanadu. 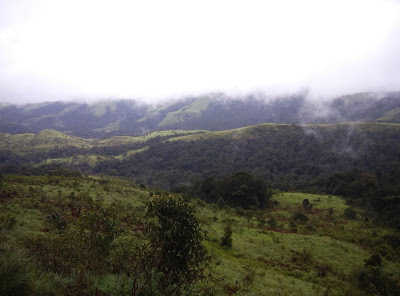 There are 2 ways to reach Horanadu and we chose to go via Kuduremukh. You need to report to the forest office at SK Border and you will be allotted a time by which you should pass the Kuduremukh forest reserve. 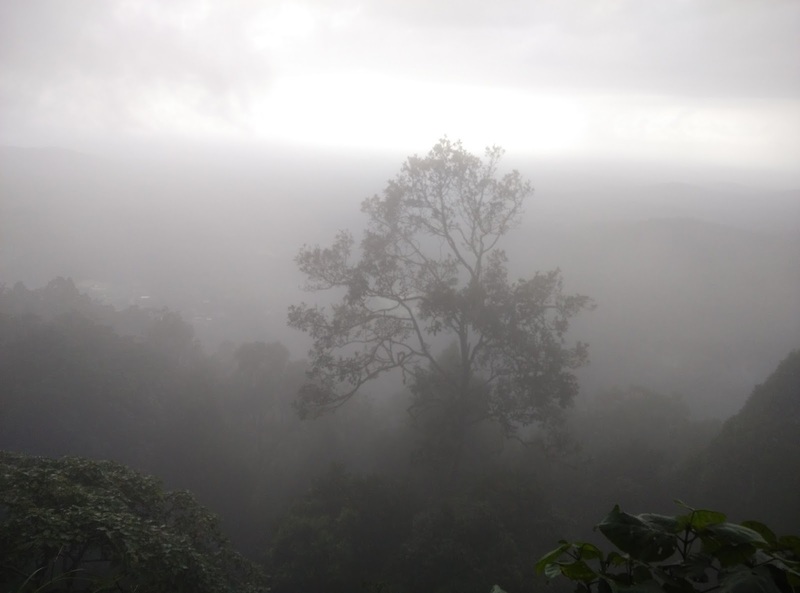 The view is scenic and that was the sole reason to choose that route. 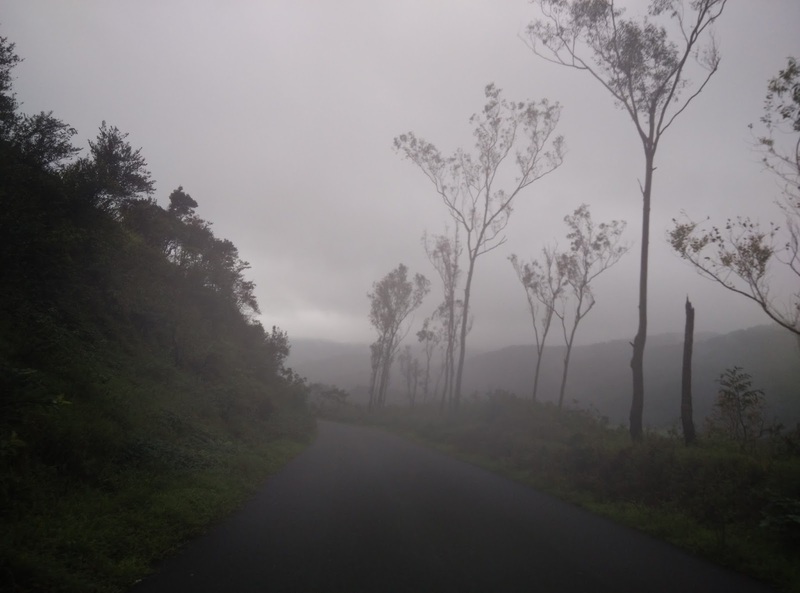 At the end of the route you will find a tea estate that allows tourists to enter the tea plantation area. You could also try the tea here and buy tea leaves for your home. 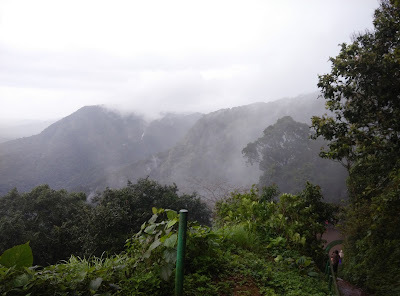 You will get the Hanumangundi falls on the way but it is open from 10am-4pm. We missed it as we reached there much before 10am. 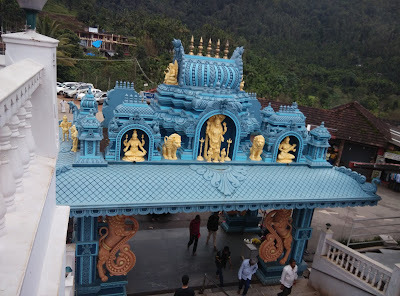 We reached Horanadu at 10:30am and visited the temple. The lunch here starts at 12pm. We did the darshan and left the place by 1:30pm. On the way we visited the Kalasa temple. We were back in Bangalore by 7pm via the Mudigere-Belur-Hassan route.